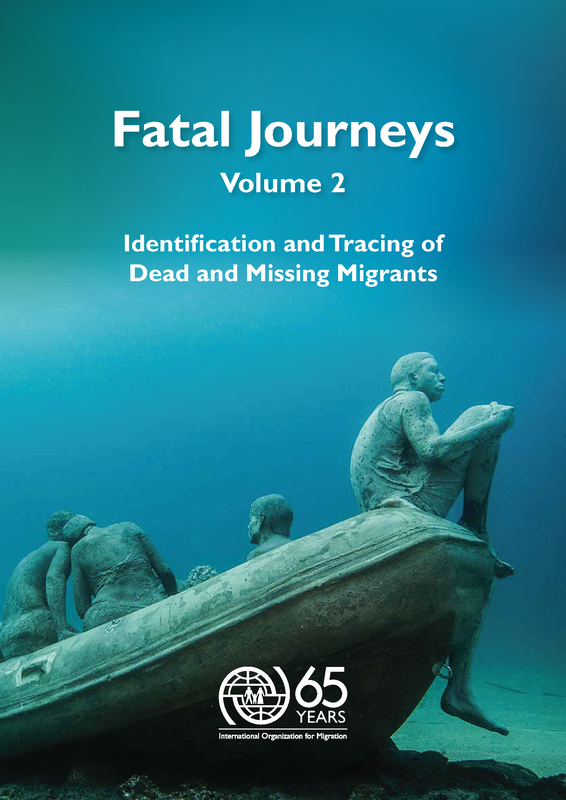 Germany - IOM reports in the latest edition of its publication Fatal Journeys Volume 2: Identification and Tracing of Dead and Missing Migrants that over 60,000 migrants are estimated to have died or gone missing on sea and land routes worldwide since 1996. IOM’s second global report on migrant fatalities addresses these crucial questions. The report asks what measures can and should be taken by authorities to ensure tracing and identification of those who die or go missing. Furthermore, what steps should be taken to assist the forgotten victims of these tragedies – the families left behind. Despite their urgency, these issues have been largely absent from policy discussions. Existing research into missing persons indicates the extreme psychological distress, as well as economic and social hardship a missing person has on families. IOM’s report shows that this painful situation is all too common. A majority of migrant bodies are never found, and of those that are, many are never identified. In the Mediterranean Sea in 2015, bodies were recovered for fewer than half of those thought to have died. Families in Myanmar and Bangladesh tell stories of family members who have simply disappeared. Along the United States-Mexico border, the Colibrí Center for Human Rights – a non-profit organization based in Arizona – has recorded some 2,700 missing persons. While national and international systems exist to trace missing persons, they have not been adapted to address missing migrants and remain largely inaccessible to migrant families. Often, local and national death registration and identification systems are neither designed nor adequate for the particular challenges arising in the context of international migration. However, it is not only the substantial challenges involved in the task that make identification rates poor. Unlike in other humanitarian or transport disasters, identification of migrants is often given low priority by States involved, and too often migrant and refugee deaths are seen as an exception to normal humanitarian practices. “With little to no state support, families are left to navigate through an undefined obstacle course of organizations and bureaucracy that can be extremely confusing, convoluted and even dangerous. Caught between grief and hope, their search can take years, even a lifetime,” said Laczko. Compiled by IOM’s Berlin-based Global Migration Data Analysis Centre and experts from around the world, Fatal Journeys aims to bring attention to this humanitarian imperative. It recommends five points for action, beginning with the recognition that investigation and identification of migrant deaths is an obligation under international law. Fatal Journeys argues for families to have access to accessible search mechanisms and to be granted the right to visit the burial place of their loved ones. All efforts should be made to identify the dead, including through the establishment of international and regional databases. Finally, Fatal Journeys recommends a global programme of research to better understand how to support families and improve identification mechanisms. In addition to issues of identification and tracing, the report presents most recent data on dead and missing migrants around the world, collected through IOM’s Missing Migrants Project, which maintains the only existing global database on migrant deaths. The report is to be launched at a seminar on the issue of identification and family tracing, hosted by IOM’s Global Migration Data Analysis Centre Tuesday and Wednesday in Berlin. Drawing together experts from the Mediterranean region and around the world, the two day event aims to build collaboration and generate ideas for improving identification mechanisms and addressing the needs of families.